Stripes clothing has always been one of the most versatile and go-to looks in fashion. It's incorporated in almost all of our daily wear from casual to formal. 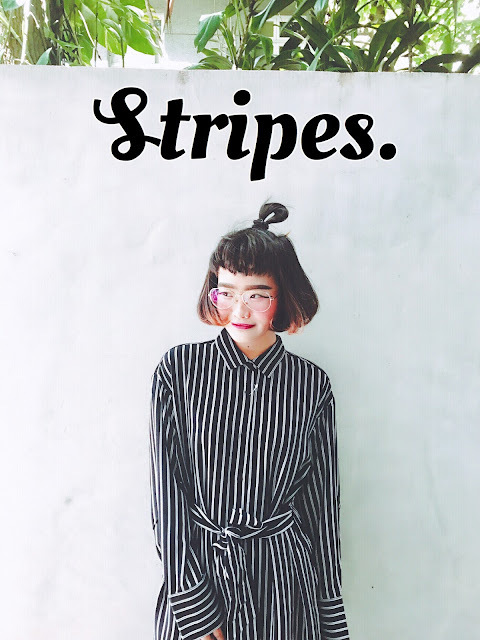 And let's be honest, stripe fashion trend is never really ever out of style. You can almost see striped clothing items being re-designed and worn in every season. That being said, it's another timeless piece to keep in your wardrobe. 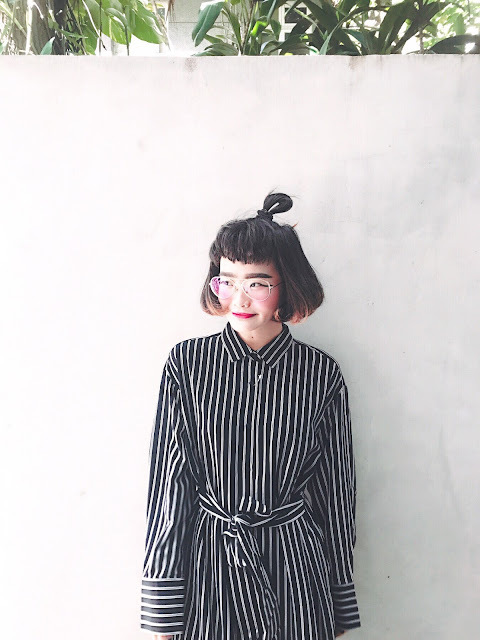 Today I thought I would pop on here and quickly talk about how I would wear and style striped clothing. So I purchased this black and white striped dress shirt the other day and decided to wear it out on my day off. It is a really simple look because it is a dress shirt, you can literally just throw it on and be ready to go. I have always been into these one-piece clothing items like maxi-dresses, jumpsuits, rompers and dress shirts. With the right patterns and design, you will look so bomb without having to think about how to match your top to your bottoms and end of spending too much time on an outfit on a busy morning (I am guilty of that by the way, lol.). I love this striped dress shirt because it's got some detailed designs on it. I like the way they designed the cuffs of the sleeves, also you can figure out different ways to work with the tie at the waist. For me, I just tie a simple bow in the middle but you can work it however you like, it's quite nice that it sort of cinch at the waist so it kind of gives you a nice shape as well. Lastly, the dress has this side slit design I really dig as well. the slit is a little high though so for those that don't really like high slits design, I suggest you can wear a simple long pencil skirt underneath to add a bit of layer to this outfit, or a pair of black shorts will do. For the rest of my outfit, I just paired it with a pair of fluffy loafers. I literally love these loafer shoes so much. After since GUCCI came out with the design, I've seen so many people wearing them and looking so good! Of course, I couldn't exactly spend a fortune on the original GUCCI loafers, but so many brands have the similarly-designed shoes and they range from 15 dollars to 30 and the quality is just as good. If you think the fluffy loafers might be a bit too out-there and bold for the daily office look, just simply switch it to a pair of black high heels or ankle boots. And that's basically my entire outfit. I think it turned out really great. It's a look that you could wear to work and look really professional yet stylish. 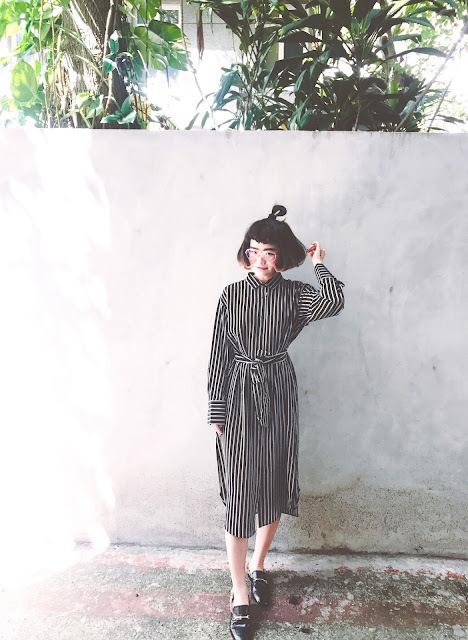 If it had been just any simple, plain maxi dress, you might look a bit too casual for work, but because it is a dress shirt, the collar and the stripes really helped elevate this look! You could also wear this look to any occasion or events. It is so effortlessly chic and in my opinion, it's also got that bad and boujee feel to it. loving the simplicity of this shirt dress! 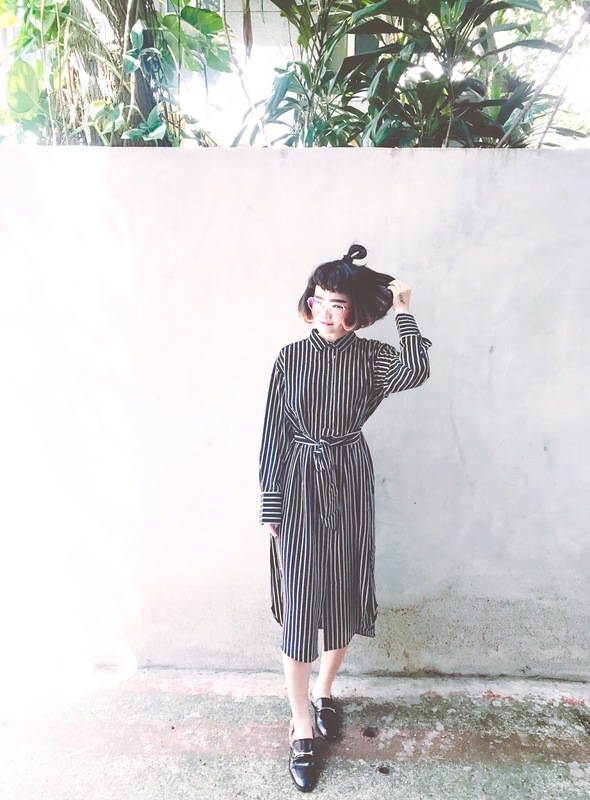 Stripes are an easy pattern to dress up and down; great choice, love the slides too! Chulísimo el vestido, te seinta genial. 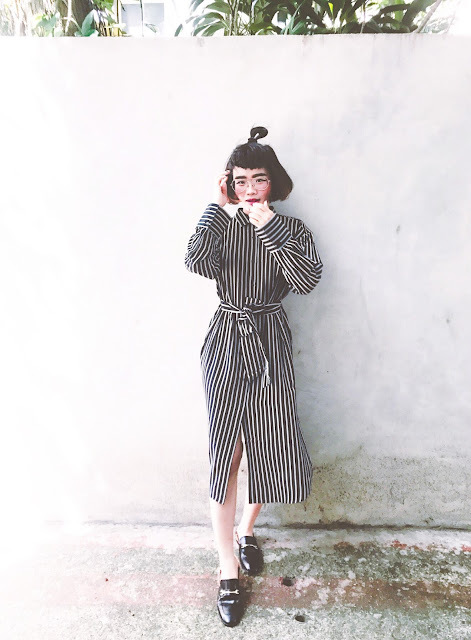 I love stripes and your shirt dress is absolutely cool!